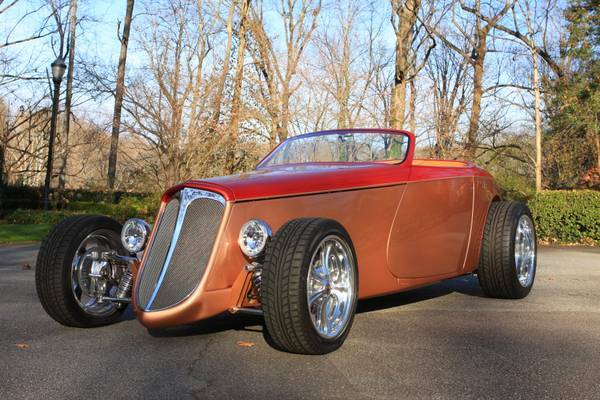 A true custom built "One of a kind" 1933 Hi Boy Custom Speedster, titled as a 1933, ZZ4-crate motor, 700 R4 Transmission coast to coast body and frame, full leather interior striking 2 tone paint. ZZ4 350 CRATE MOTOR, 700 A4 TRANSMISSION HEIDTs SUPERRIDE CHROME INDEPENDENT REAR SUSPENSION KUGAL POLISHED STAINLESS INDEPENDENT FRONT SUSPENSION, COAST TO COAST BODY & FRAME, WILWOOD 4 WHEEL CROSS DRILLED DISC BRAKES SUICIDE DOORS ,CUSTOM LEATHER SEATS, SHAVED DOOR HANDLES, TILT STEERING, ELECTRIC TRUNK, LOKAR AUTOMATIC FLOOR SHIFTER, BILLET PEDALS & DOOR HANDLES, FULL GAUGE PKG.BUDNIK WHEELS,FRNT-17-inch,REAR-20-inch, SLEEK TWO-TONE TAN & RED SHOW CAR PAINT A TRUE CUSTOM BUILT, ONE - OF - KIND STREET ROD Built by Dave's Hot Rod Shop. Top of the line leather interior, Power steering, power disc brakes, cruise, tilt, power windows, push button door openers, power trunk lid lift, hideaway stereo system. No expense spared! Eagle Alloy polished aluminum wheels 15"
Flat Head V-8, Fender skirts, wide whites, touch bar radio. Restored to original. Lot of chrome a beautiful and rare car. This 1948 Pontiac Woody is a unique vehicle for a few reasons. Last true woody, last year for flathead straight 8, and first year for hydramatic auto transmission. Fatman Front end widened 2"
Mileage since restoration is 3,294. The ground up restoration was completed on late 2000 with some added upgrades since. Pictures were taken from start to finish along the way. This car comes with a customized owners/operations manual as well as manuals with part and model #'s . Everything you need to know from tech operation to troubleshooting is very well documented. Real 62 series California car, beautiful White exterior with Tan canvas top and boot, Tan and Cream leatherette interior, power windows, power hydraulic top, clock, radio, V8 Engine, automatic transmission, outstanding chrome and stainless. Drives, runs and looks outstanding. It had a restoration 4 years ago, it was fully restored, has the original 331 engine. Engine: 235 CI / 216 HP Engine, hub caps and cloth interior. Very Solid and straight body. Comes with original Owners Manual and documentation, 96,674 ORIGINAL miles. New Upholstery, Paint, Glass and chrome is all excellent. Drive anywhere recent mechanic inspection. This 1951 Custom Wagon is a Washington State car that was driven to the east coast by the prior owner. Original brown finish repainted fall of 2012 with tin woody areas hand painted by local artist Keith Emery. The upholstery, headliner, carpet and windows lace professionally replaced. It also had new diamond back radials that make the classic wagon ride very nice. The 250ci in -line 6-cylinder has been rebuilt and only has approximately 2,500 miles added since, runs flawlessly. Chrome and stainless bumpers are original. Car has had a beautiful frame on restoration. The classic wagon has fog lamps, two speed wipers and electric gas door opener. Wood in rear deck is original and factory stamped May 1951. Painted lettering o the air breather is original. Heater box and fan are in engine compartment. Lots of Chrysler wagons available but seldom do you find a Desoto, particularly in this condition. 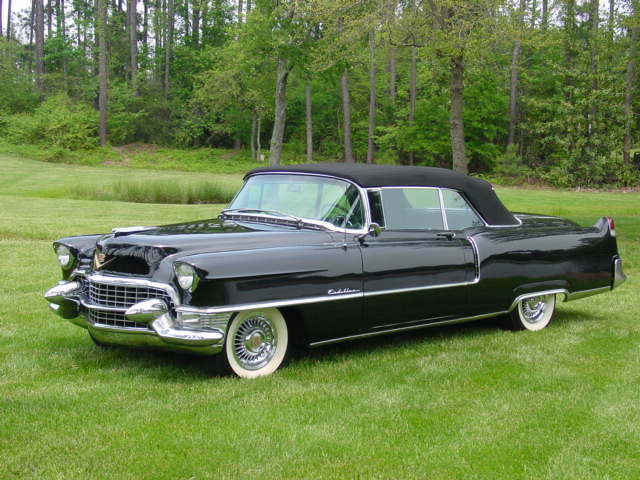 This car is a very special Cadillac for two reasons: first and most importantly it has been professionally restored to better than new condition using today’s materials and technology. The leather interior is glove soft, the top is made from Haartz cloth, the chrome and stainless are of the highest quality and the wire wheels and radial tires are newer, strong and therefore certainly safer than the originals. The car cruises smoothly and effortlessly at highway speeds and is truly a show stopper wherever it goes. The joy in driving this car comes from the perfectly operating luxury features including power steering, power brakes, power windows, and power convertible top. 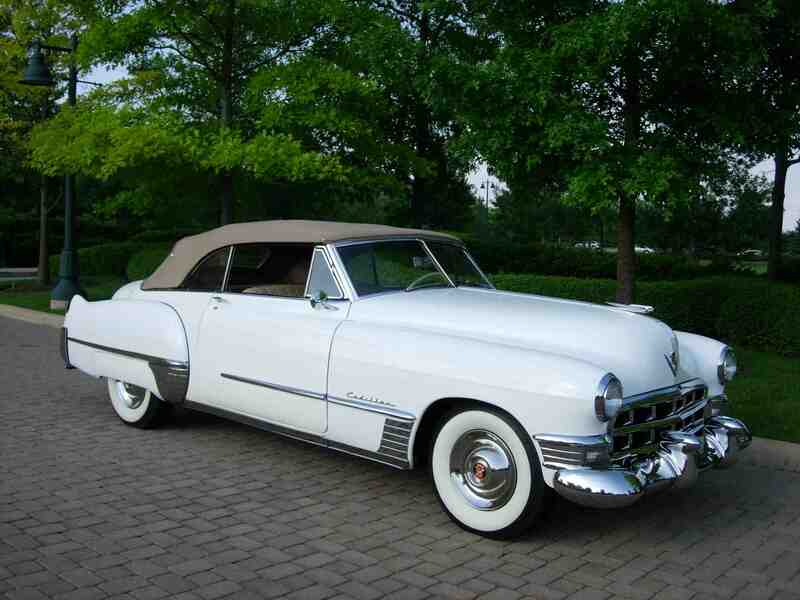 Cadillac convertibles in this condition are very seldom seen. Upon seeing this car up close you will be entranced by the quality workmanship and it's stunning appearance. 1953 MGTD2 Frame off restoration with a recent new paint. Black with red leather interior. This was the last year for the MG-TD and this model is the MG-TD2 as shown on the brass factory ID Plate. The TD-2 was the latest and last model TD and had the larger 8" clutch. Original matching numbers motor. Car comes with tan convertible top and side curtains and matching tonneau cover. Excellent Investment Opportunity. This car is a rare Diamond! 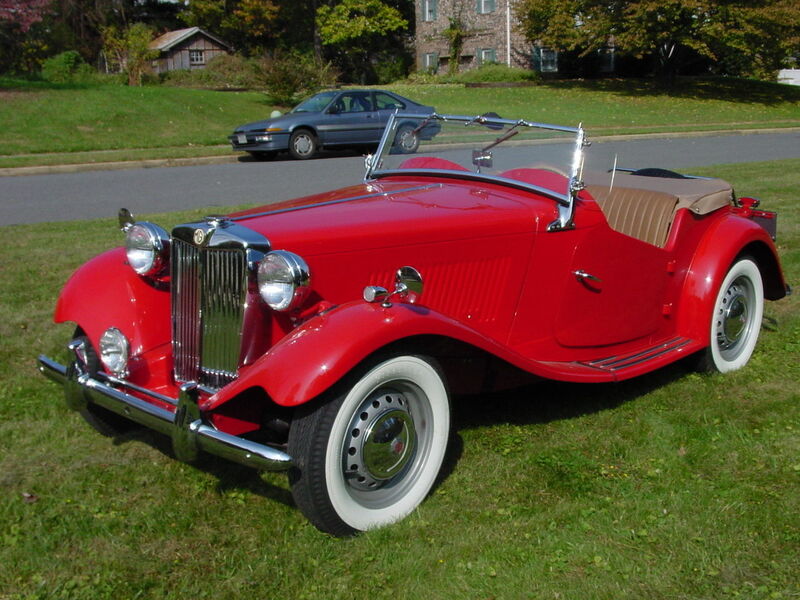 1953 MG TD2 Frame off restoration approximately 15 years ago. convertible top and side curtains. Includes: Owners manual, Receipts, MG Books, and some new and used spare parts. This is a beautifully restored 1953 MGTD and it represents a multi year labor of love restoration. It is truly a joy to see and drive. All original body panels are refinished to the highest standard. Most of the original chrome has been replated to show quality. The windshield frame is still in it's original condition and very presentable. The original engine and drive train were professionally rebuilt and function as new. All systems were rebuilt to work exactly as they did in 1953. It shifts, drives, brakes and handles like it should. It holds excellent oil pressure in every gear at any speed. All gauges and lights function as they should. It is very tight throughout. The interior is like new and the fully restored seats are nice and firm. The undercarriage is as remarkable as the topside. Every detail and finish is restored to be as it was new. The fit and finish is excellent in every body panel as are the shut lines on the doors and bonnet. ready to show, drive and enjoy. Three speed on column with OD. Original spare in trunk-have all four original tires. Glass -chrome- rubber- paint- dash -car is in near new condition. Flathead V8 runs and drives beautifully. Original wool seats and headliner. Don't find many like this. Recent tune up and is a smooth riding car. in in excellent condition. This car has the original owner's manual and sales brochure. SOLD This is a 3 seat wagon. A Southern California Car with only 95,000 miles. Purchased 4 years ago from a collector who painted the car. The wooden rails are factory stamped. There were only 300 of these made in 1954. This car has a cream white exterior with white and red interior seats. The interior headliner and carpets recently replaced. New paint on all interior metal, wiring replaced with correct Rhode Island harnesses. The car has new front springs with air shock rear. Power brakes with new booster. Tin area of "Woody" is painted - not decaled! Motor and Transmission professionally rebuilt. New steering box and visor. Parts purchased from Mercuryland and Merle Forez. Frame is painted red/yellow as shown in 1954 Sales Brochure. Cranks, Runs and Drives Beautifully. This car is built to drive and enjoy with all the modern day luxuries. This is a beautiful survivor car. 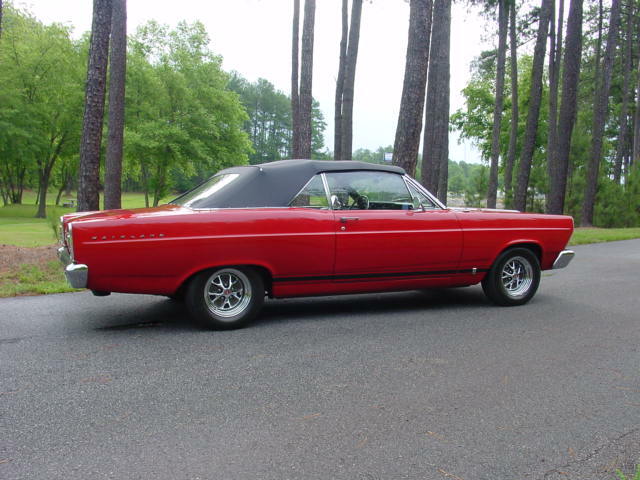 Equipped with the 270 CI Super Red Ram Hemi two speed PowerFlite automatic transmission with dash mounted shifter, power steering, power brakes, AM radio, reverse lights, custom flipper wheel covers, dual exhaust. Tri-toned paint: Heather Rose, Black, Sapphire White. 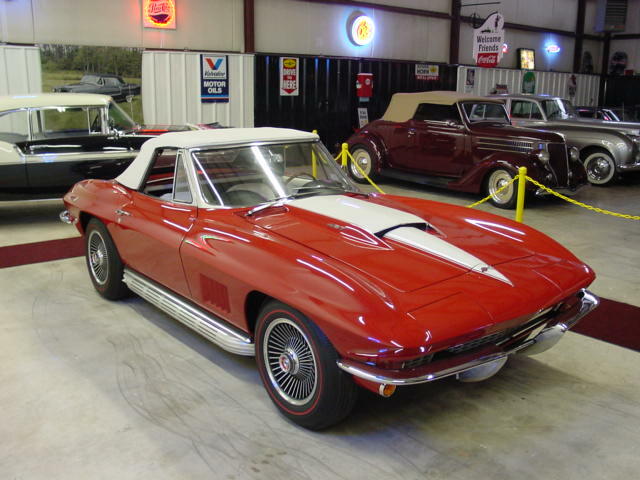 This 2 door hardtop coupe is a rare survivor find! Mostly original and in very good condition. 330 4BBL V8 (Hemi) 255Hp, Automatic (push button), Power steering, Power brakes, Kelsey Hayes Wire Wheels, Great driving car, Iridescent grey & shell pink, new correct leather and cloth interior, a stunning car HEMI motor with full power. "RARE" 1956 Dodge Coronet "Texan"
This Texas "Texan" was painted by the previous owner several years ago and while it was not a "show quality" paint job, it still gets plenty of "Thumbs-up". The paint does have a few bubbles around the rockers. The bright work is in need of attention in a few areas. Not a perfect car but a "VERY RARE" car. It would not take much to bring this car up to show quality. 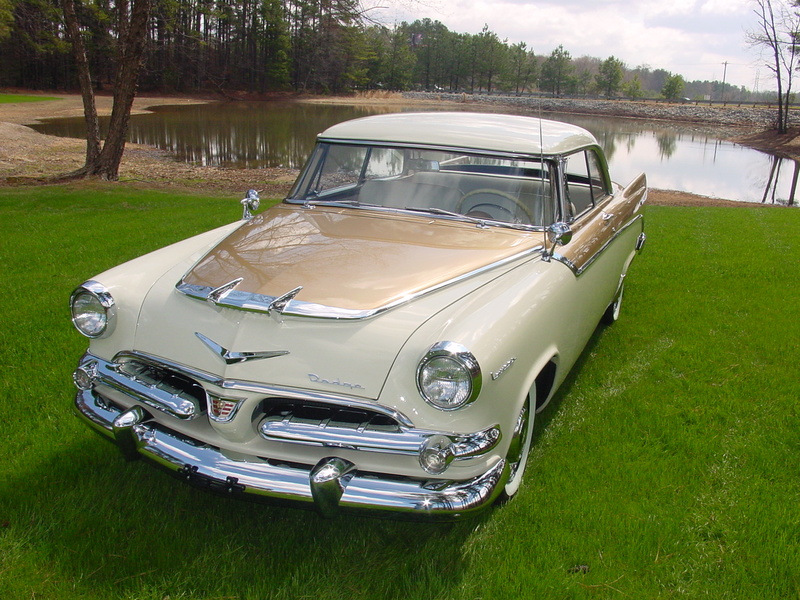 When is the last time you saw a 1956 Dodge Coronet "Texan". This will be the only time this car will be offered on EBay so don't miss it. A Truly Rare Car! Dodge Coronet Golden Lancer, all original with 49,300 miles, 315 polyhead engine, powerflight transmission, power steering, power brakes, radio, heater and wide white wall tires. Engine/transmission was rebuilt around 500 miles ago, new paint 1 year old. Interior is mostly original and in good condition. This 1956 Lincoln Continental is one of the greatest American post war cars and will remain a timeless classic favorite. 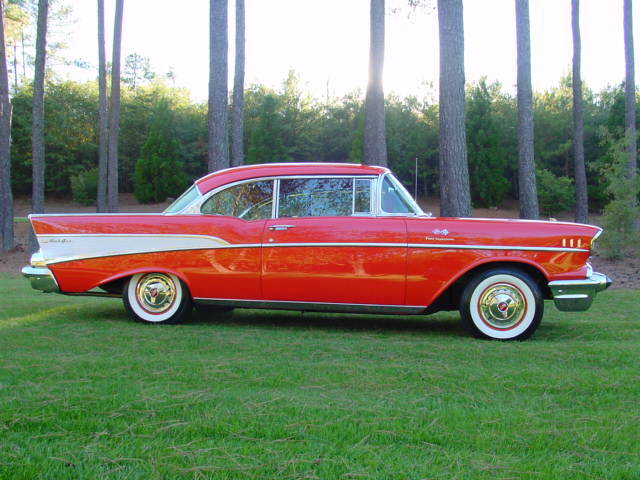 Magnificently styled, this beauty sold for close to $10,000.00 in 1956. The unique cow belly frame allowed for high seating without a tall body. Exterior is white and paint is excellent. Interior is an elegant white and bronze leather. Car is fully loaded and has factory AC . Car runs and drives with excellent performance. This beautifully rotisserie restored to original truck is all steel and is an original torch red truck. 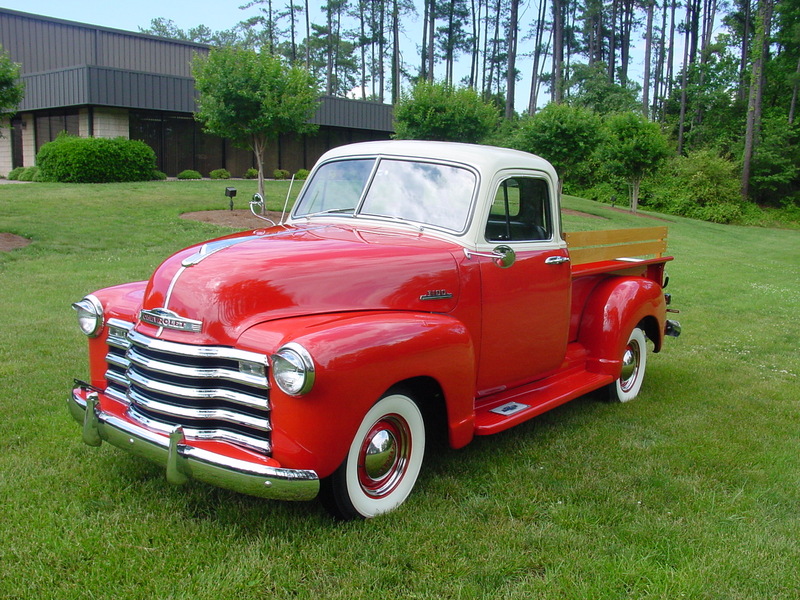 This truck still has its original "Y Block" 272 V Code Engine and 3 speed manual transmission with column shift. This is truly a brand new truck. 1957 Ford Ranchero. California car from new. One of 6400 built in '57. Phenomenal restoration of a correct car. Original 292 V-8 car with automatic transmission. Upgraded Ford 302 V-8 engine with dress up kit. Factory power steering and factory power brakes with fronts upgraded to disc brakes. Factory options include AM radio, heater as well as power steering and brakes. All options work correctly. This Beautiful 1957 Desoto Fireflite convertible. This comes from a museum of finned Mopar cars. Excellent restoration with recent freshening throughout. 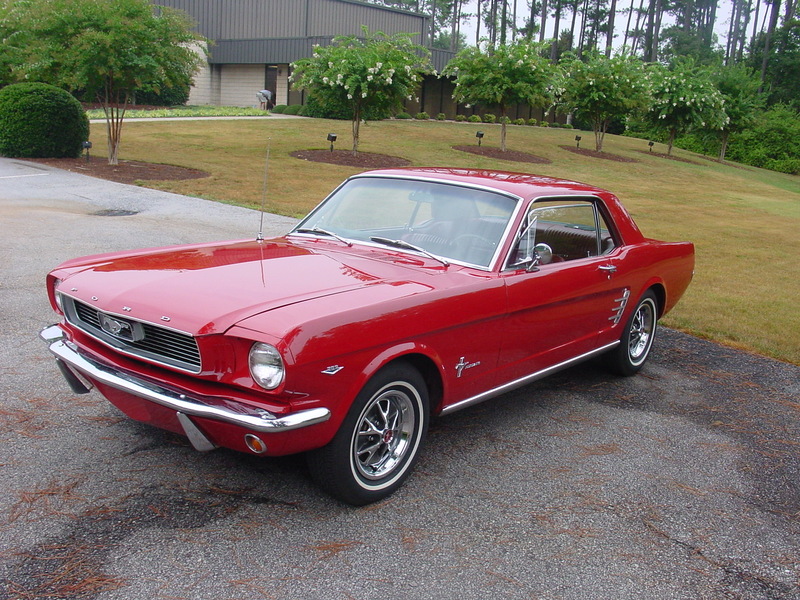 Fully restored car, excellent paint throughout. The chrome and trim is also excellent. 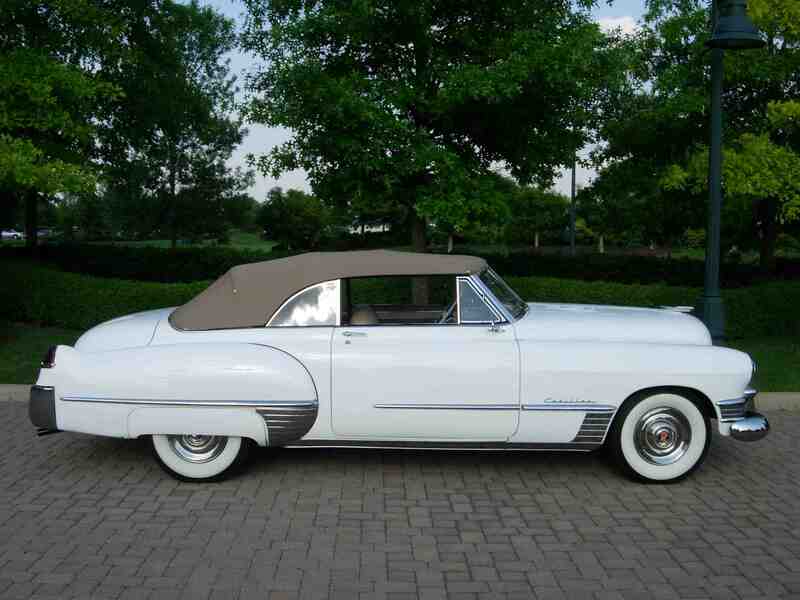 This 1957 Desoto Fireflight Convertible. 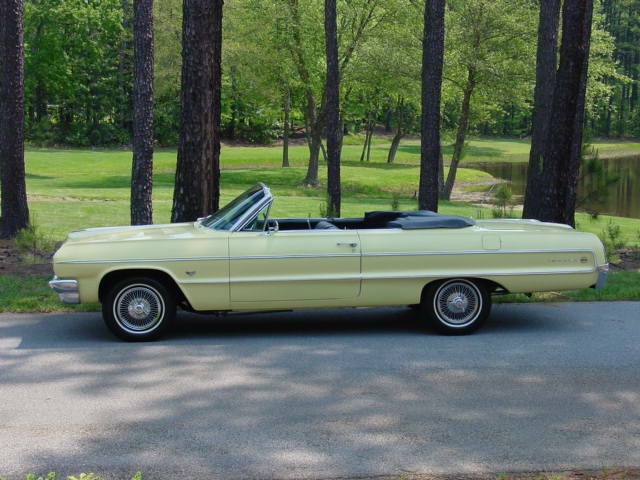 This car is a true and correct fireflight convertible with the Adventurer trim package added. The restorer went to the trouble of acquiring the correct engine, correct carburetors, linkages and air cleaners to make this car truly right. 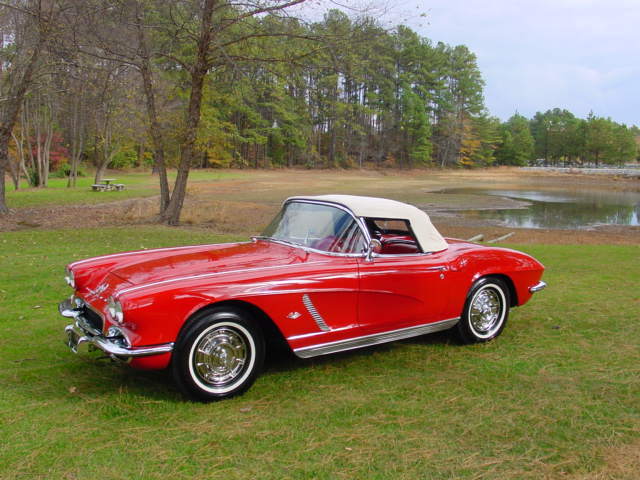 The car was restored off the frame to concours standards in 2002 by one of the foremost restorers of these cars. Following the restoration, it was then sold to a major collection in sunny dry Texas. The car was shown several times and won many major awards including a best in class at the Keels and Wheels Concours in Seabrook Texas. The car was then sold to the founder of an eastern Concours event who spent over 20K re detailing the car including new top, an engine bay detail and lots of other little things. Two years later, the car was sold to a respected Florida collector who immediately put the car on museum display as a star attraction. Now offered for the first time in several years, this car is fully concours ready and comes with its original build sheet and all original accessories. Factory options include power windows, padded dash and power seats. The car has all of the rare Adventurer trim pieces including the Desoto steering wheel clock, special order carpeting and correct factory Am radio. For appearances, Kelsey-Hayes wire wheels have been added for a sleeker look but all other options remain as original. 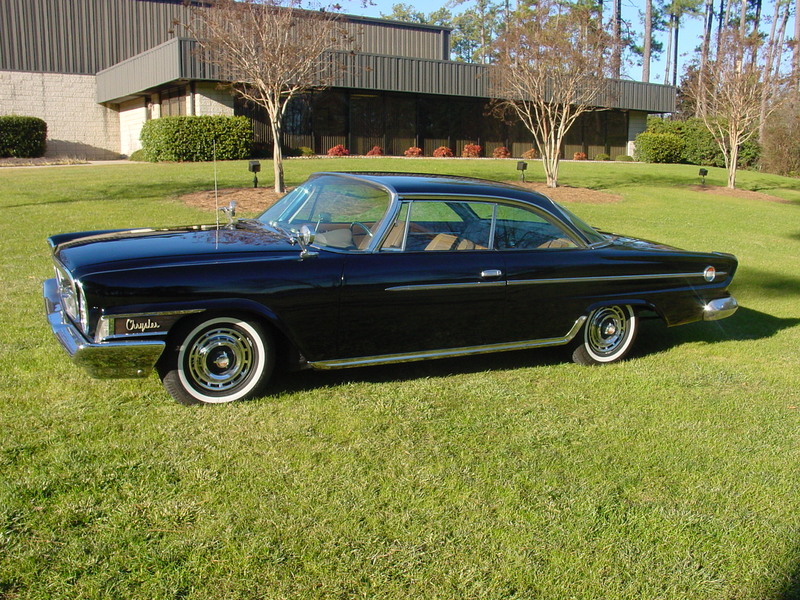 Here is a chance to own the best Desoto had to offer ready to show anywhere. 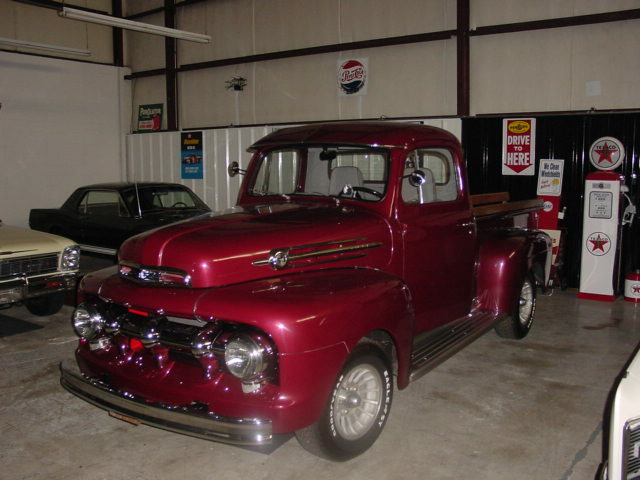 265 Power pack Engine, Matador Red with 2 tone red and grey interior, 2 speed power glide automatic transmission, vintage air, power steering, power brakes, power top, 4" wide whites with original wheel covers. Texas car looks to be original sheet metal, super nice shape! Full restoration to original metal rust free car. 283/283 HP Engine with Duntov Solid Lifter cam. 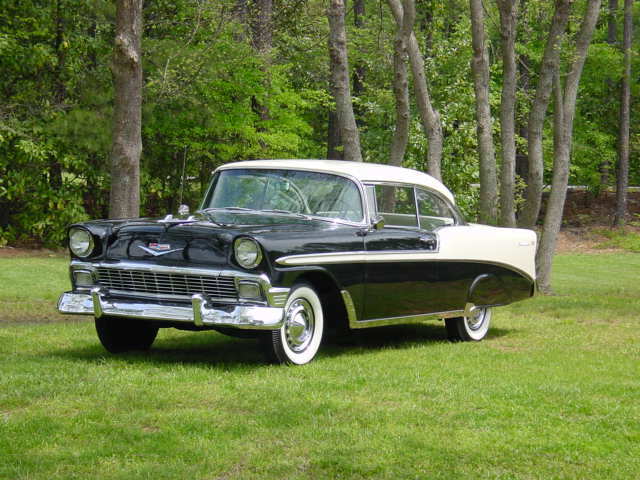 This beautiful 1957 Chevrolet has an impeccable professional frame-off restoration. Engine is the 283/270 HP with Duntov solid lifter cam and 2 4's. 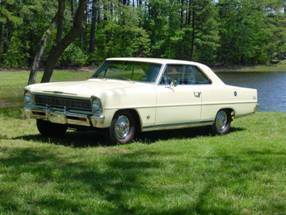 Transmission is the 3 speed manual on the column Car has undergone a full restoration and presents as show quality. Exterior is yellow and the Interior is a pristine back and yellow two tone. 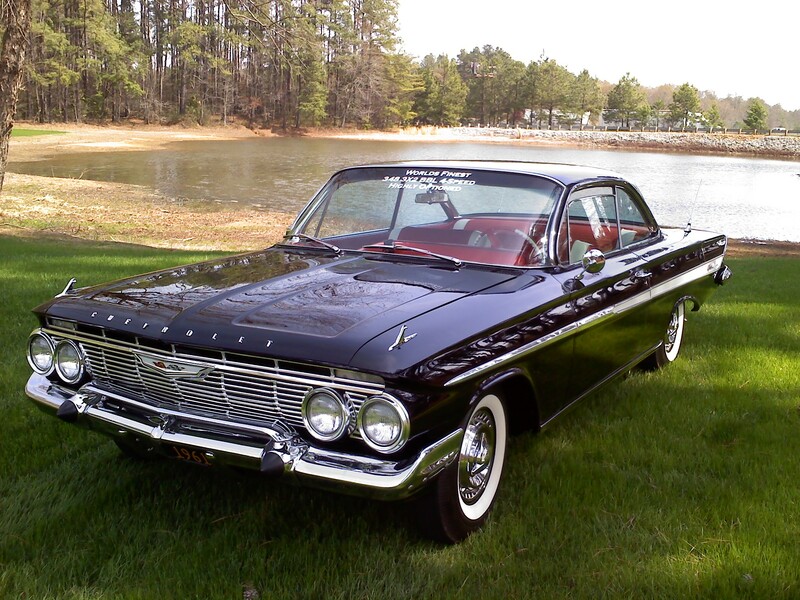 Included in the purchase of this car is the original Batwing air cleaner. Options include Wonderbar radio, tinted glass, courtesy lights, clock, and heater. Car came with level air ride system but has been removed and is available with the car. produced, there are less than 20 left today. 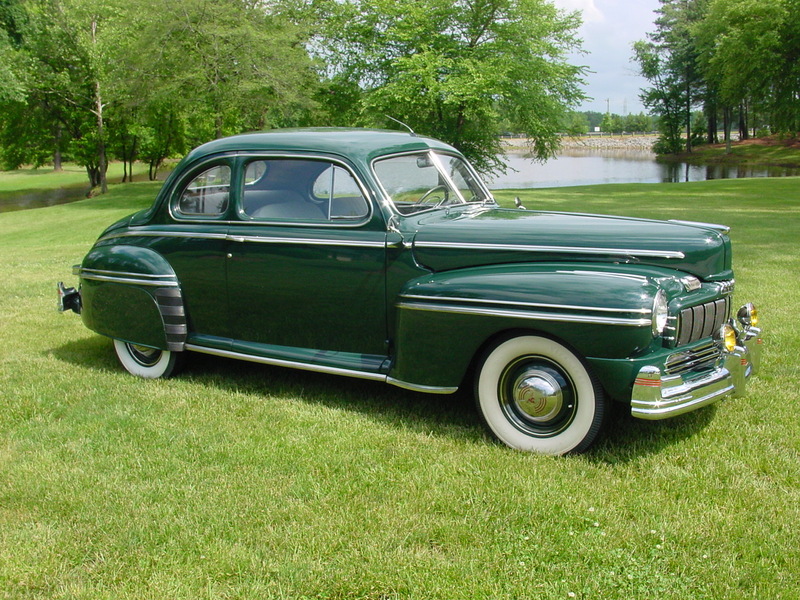 A beautiful car and a must to have for any Chrysler collector. 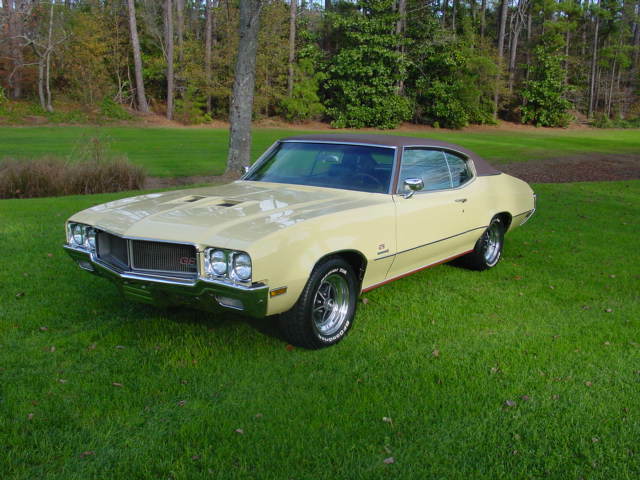 This rare beauty comes with its original 383 cid/320 HP V-8. Has the torque flite automatic transmission with pushbutton shift. This car has had one professional repaint and upgraded dual exhaust. The car has power steering, power brakes, correct white wall tires with Lancer hubcaps, swivel bucket seats, arm rests, etc. 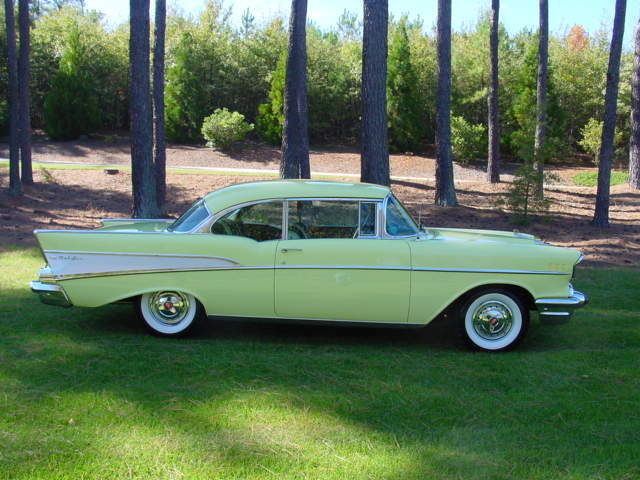 The original interior is like brand new, the car has all its original sheet metal including trunk and floor pans. The original chrome and trim is in excellent condition. This car has been serviced and detailed and is in Show Condition. 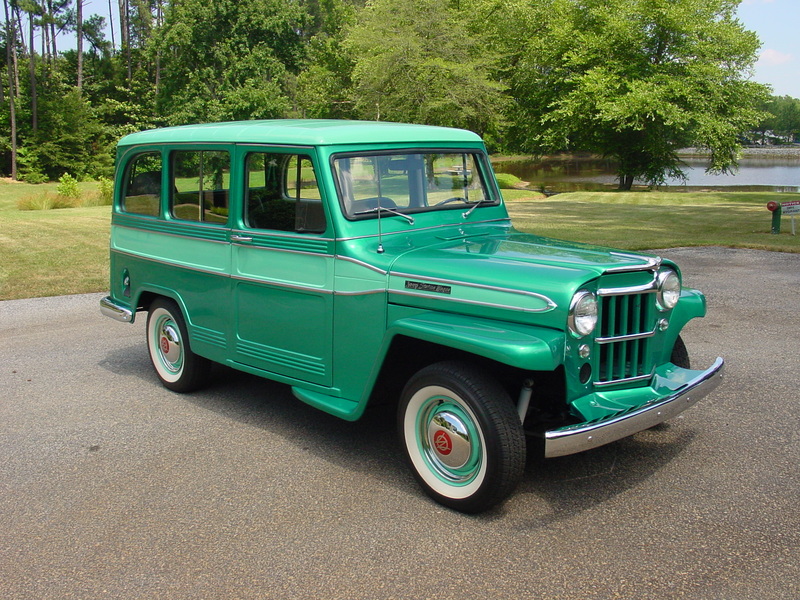 This is a very rare 1960 Willys Overland “Special” Station Wagon – restored to original. Car has had the same owner for the last 26 years. 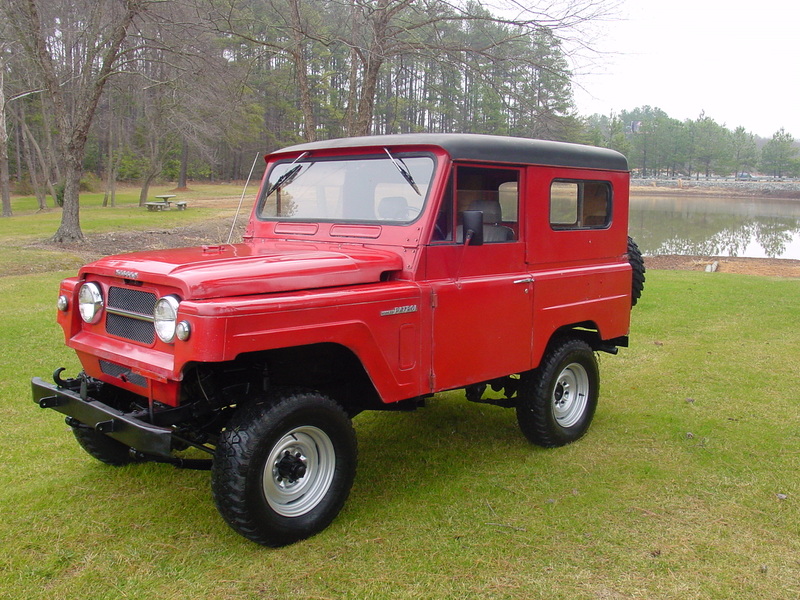 Automatic transmission, power steering, radio heater and 8 lug wheels. Comes with protecto plate and original owner’s manual. A total nut and bolt restoration to the highest degree with no expense spared. Features include: power steering, power windows, power brakes, 6 way steering, power vents, factory tachometer, compass, dual rear antennae, bumper guards, tissue dispenser, liter bag. Owners Manual and car care service booklet. Gone through and everything works as it should even the clock and radio. 394 cid overhead valve V8 engine rated at 345 HP, three-speed automatic transmission, independent front suspension with coil over hydraulic shocks, semi-elliptic rear springs with live axle, four-wheel power-assisted hydraulic drum brakes; wheelbase 123"
Loaded with options: power steering, brakes, console tach, power windows, bucket seats, leather interior, rear window defogger, wonderbar pride with bi-phonic rear speaker, and power antenna, power driver seat, and guide-o-matic head light dimmer trunk release and more. A beautiful and rare car! and courtesy lights. 2 owner car for the last 30 years. - Advertising by Chrysler as the "The Bankers Hot Rod"
Excellent strong running and good driving car. This is an awesome FUN car to drive! Sold new in Anacondo, Montana April 20, 1964 and remained with the same owner for 40 years. Since then it has been in the hands of collectors. The mileage is 20,558 and is believed to be the current however the title states "exempt" because of its age. 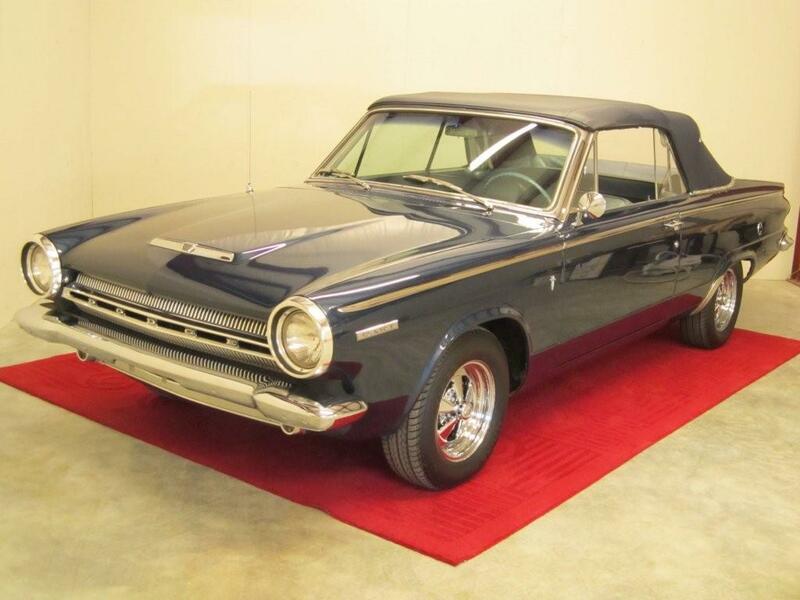 Documentation includes copies of titles and registration cards 1964-2007, original "Certicard" owners manual, factory warranty booklet with the VIN printed on it, 2-build sheets, early oil change stickers, and original 1964 Dodge Dart sales brochure. New period correct Cragar wheels have been added, however the original wheel covers are with the car. This one is a "rare" Dodge. 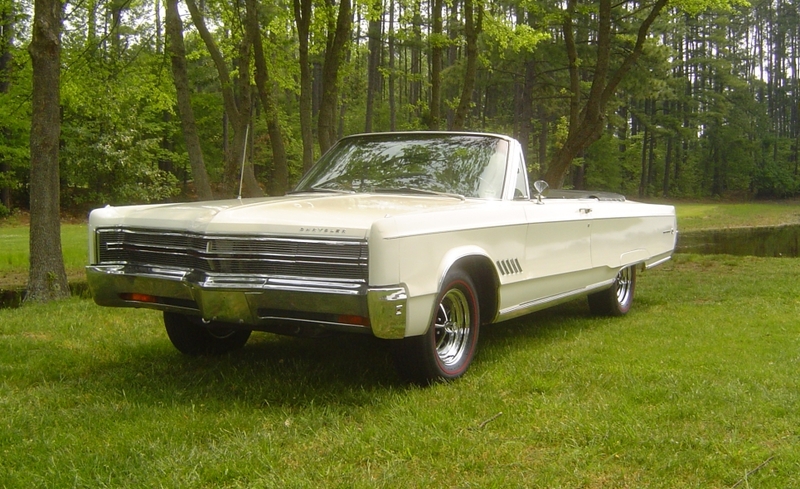 This is a very well presented Bonneville Convertible. 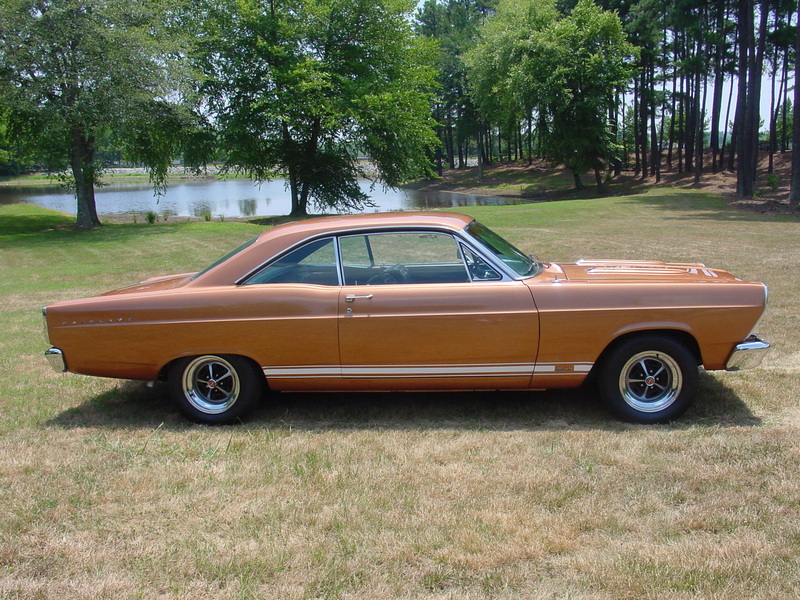 This car comes complete in Saddlewood bronze paint, saddle and tan two tone interior. This car has a 389 2 barrel and is clean and nicely detailed along with the whole engine compartment. Car has power steering, power brakes, power top, A/C, and 8 lug wheels. Added cruise, radio and 12 volt acc outlets makes this car a very nice Cruiser! 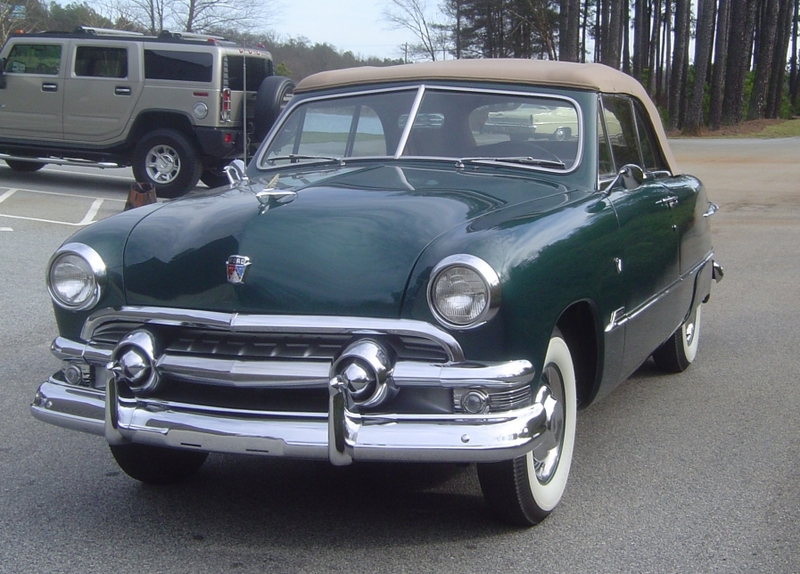 fender skirts, white wall tires. Documentation includes: 2 Original Build Sheets, a few original service records. This is a nice "survivor" car. The 40K miles its showing is believe to be the original miles. One family owned the car since new. Engine is the factory 289/271 with solid lifter cam and 312 pounds of torque. Transmission is the original 4 speed manual transmission. 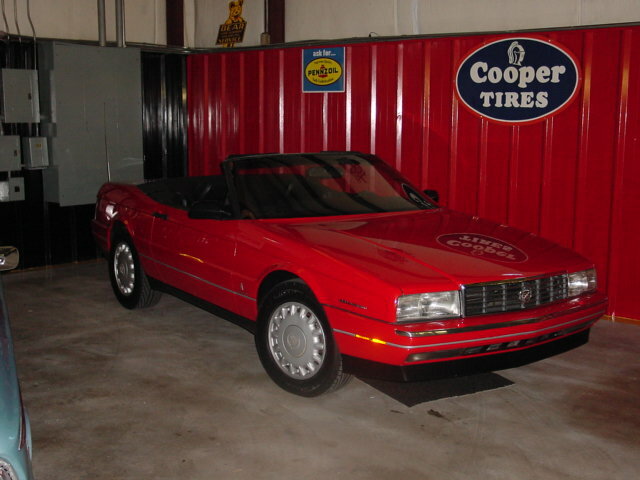 This K Code Convertible is in show driver condition. and documentation includes the owner manual. This is truly an amazing "survivor" car with one professional repaint. This car is equipped with its original 421 Tri-Powered Engine. It's original hydramatic Automatic transmission came with the rare column shifter, the car has no console but it does have bucket seats...this was a very rare combination. The car was repainted its original charcoal metallic blue color. The interior is 90% original, we had to replace the headliner, package tray and recovered the dash. We pulled the engine and "freshened" it up along with a good detailing. We re-chromed the bumpers and replaced a couple of the emblems. This car still has 3 of the 4 original T-3 headlights. The car has never been off the frame so all the body panels fit like they did the day the care was new. This is a one owner car with its original title from 12/24/1964. We have the original build sheet, original owners manual, and original Protect-O-Plate. We have some original service and state inspection records as well as full PHS documentation.. This was truly the "barn find" of a lifetime! This California PHS Documented Catalina with Ventura Trim Option is equipped with all of the goodies. It is powered by the 421ci engine which is mated to a 4-Speed Transmission and 3.23:1 Safe-T-Track Rear Axle. This car has Power Steering, Power Brakes, Air Conditioning, Tilt Column, 8 Lug Wheels, Factory Dash Tach, Deluxe Steering Wheel, Soft Ray Tinted Glass, power antenna, map light, new stainless steel dual exhaust...and more. How does it get any better than this? Indigo Blue/titanium stripes. Under the hood: “correct” 1965 Ford 427FE center oiler (bored to 482 cid engine dyno-ed at 582 hp; NASCAR powerplant professionally built by Keith Craft Motorsports; aluminum dual 4-bbl intake, correct 427 overflow tank, aluminum 427 Cobra valve covers, Stellings chromed air cleaners w/K&N filters, MSD 6AL ignition system, high-torque racing starter, Canton racing oil pan. Geartrain: 12" dual-friction clutch, Lakewood bellhousing, TKO 5-speed gearbox. In the cockpit: Smiths gauges, Moto-Lita steering wheel, chromed fire extinguisher, soft top and tonneau cover. Additional Items: triple-chromed bumpers front & rear, bug screen for radiator along with a rock guard, remote battery cutoff, ceramic headers & side pipes, Wilwood brakes, Bilstein shocks, knockoff wheels w/295 rear tires. 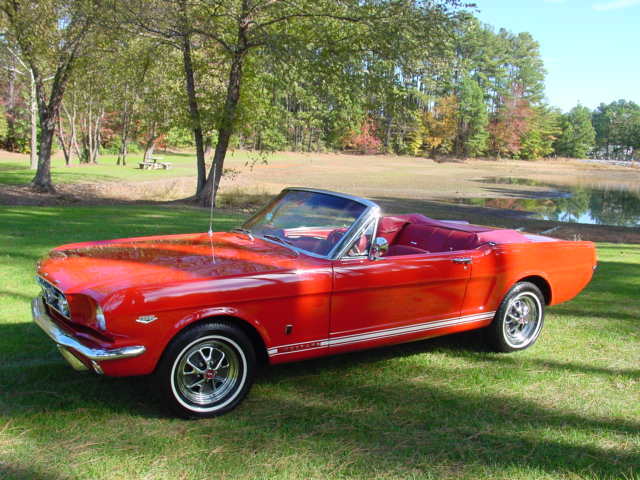 True "K" Code Mustangs are hard to find especially convertibles like this. This was a true "sleeper car" back in the day. You will NOT find a nicer car like this. This is a #1 Car! This is an all original car with the exception of 1 repaint and new exhaust. 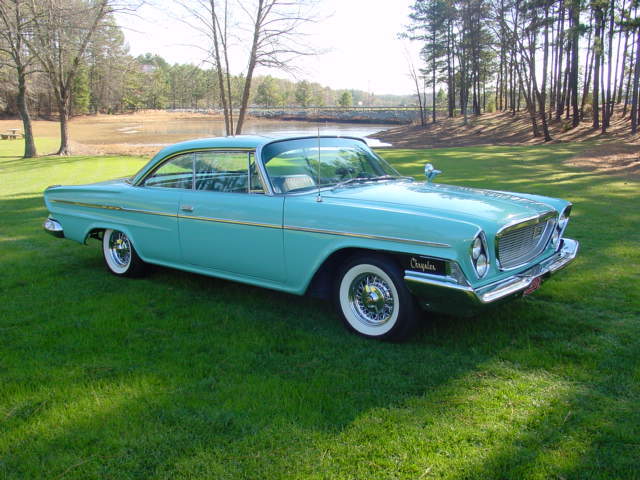 It has a 389 4 Barrel Engine, Automatic Transmission, 2-Door Hardtop, Ventura Trim, Tinted glass, clock, Deluxe wheel covers, Power Steering, Power Brakes, dual exhaust, Deluxe steering wheel. 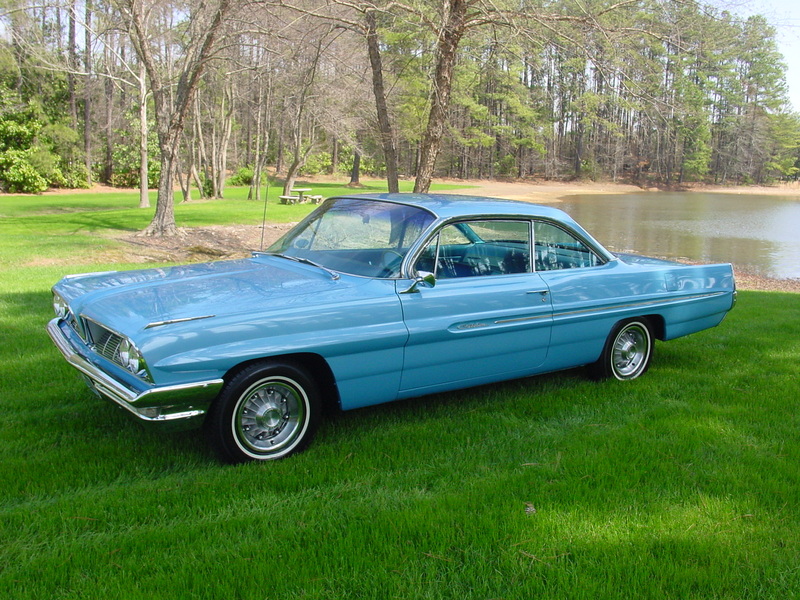 Exterior is Fontaine Blue with Tri-tone Ventura Interior, 56,851 actual miles. All original documents, includes original sales invoice, Protecto-plate, original order sheet, original sales contract, radio manual. 2007 Super Chevy Show Winner. Carolina Blue with a Light Blue interior. Engine is a 430/ 320 hp V8 with 3 speed automatic transmission. Interior is all original, door panels, carpet, headliner, chrome and stainless is in excellent condition. 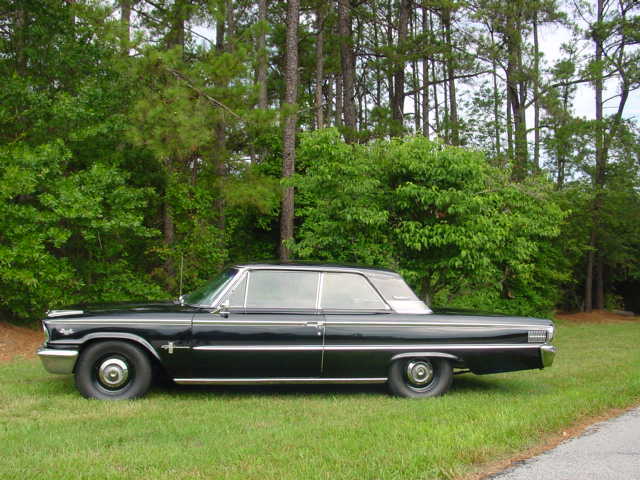 This is a pristine original 1965 Lincoln that has been in the same family all of its life and we are the 2nd owner. Has all available power options. This truck has undergone a full frame off, nut and bolt restoration. This truck comes complete with a fresh 350/300 HP Small Block 3 speed manual transmission with overdrive. Truck has ice cold air, 2-1/2 stainless exhaust with Flowmasters. This truck rides and drives like new. Looks as good underneath as it does outside. New oak bed with polished stainless. All new wiring harness. Matching Numbers 396 / 325 HP Engine, 4 speed with console and bucket seats, Knee Knocker Tac, Rare factory air conditioning, power steering, power brakes, 33,000 documented original miles, 1 professional repaint in 1995 to original Saddlewood Tan (Gold Metallic), original Manufactures Statement of Origin MSO, original order form from dealer, original sales receipt, original build sheet, Protecto-plate, Owners Manual, This is probably the BEST 66 El Camino in the country. Car runs and drives like new. Stock original with restoration in distressed presentation. New Car from top to bottom! engine lineup that included this example's S-Code 390/335 HP V-8, here paired with a 4-speed manual transmission. The GT version was a great package in terms of both performance and value that included special badges, a special hood, body striping, engine dress-up parts, heavy-duty suspension, disc brakes, bucket seats, console and a sport steering wheel. A showpiece which comes complete with a Marti Report. This is a fully documented 8,625 ACTUAL Mile unrestored car. Complete owner history since new. Original window sticker, all original owners manuals including warranty book with the original protecto plate. Copies of all titles back to 1981 when the original owner traded the car in to document the mileage. Unbelievable original condition and options with incredible documentation. Very rarely do you see a true ultra low mileage fully documented muscle car such as this come up for sale. What makes it even more incredible is that it is a REAL GS "California" edition with 17 factory options including the "L77 HiPerf 350" and "F40 factory handling package". Truly a one of a kind investment quality fully documented car that will only appreciate in value. 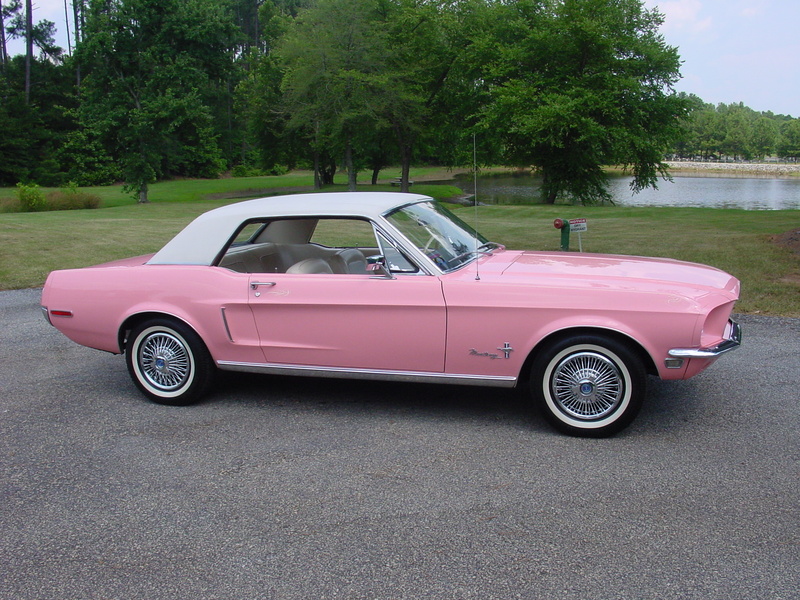 This Passionate Pink also known as Hot Pink Mustang was a popular "special order" car in its day! 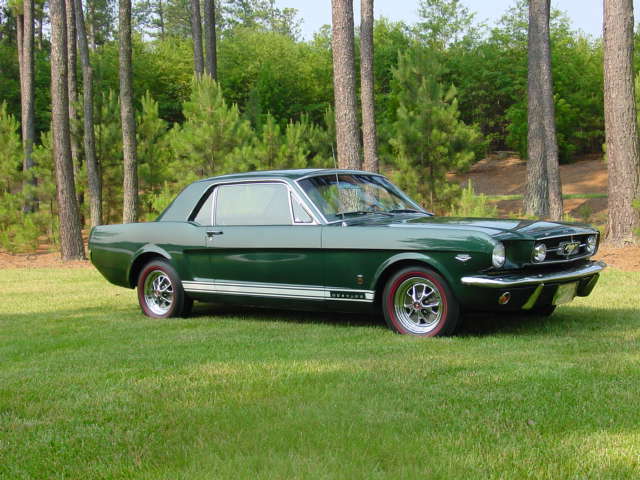 This color was one of 4 special orders colors issued by Ford for their Color of the Month a Mustang Promotion offered in the first 4 months of the year in 1968. The color Passionate Pink was the February color for Valentines Day. This car is an automatic with Parchment Vinyl seats with black trim and a Parchment Vinyl top. The engine is a 200-1V. This car comes complete with a lot of documentation and a Deluxe and Personalized Statistic Marti Report. This is a brand new frame off nut and bolt rotisserie restored car. This car has a correct date code 396/325 HP backed by the sweet 4 speed transmission. Car comes complete with power steering, power brakes, air conditioning, and power top. The tuxedo Black paint is flawless, as well as the red interior. This is a super sweet ride. 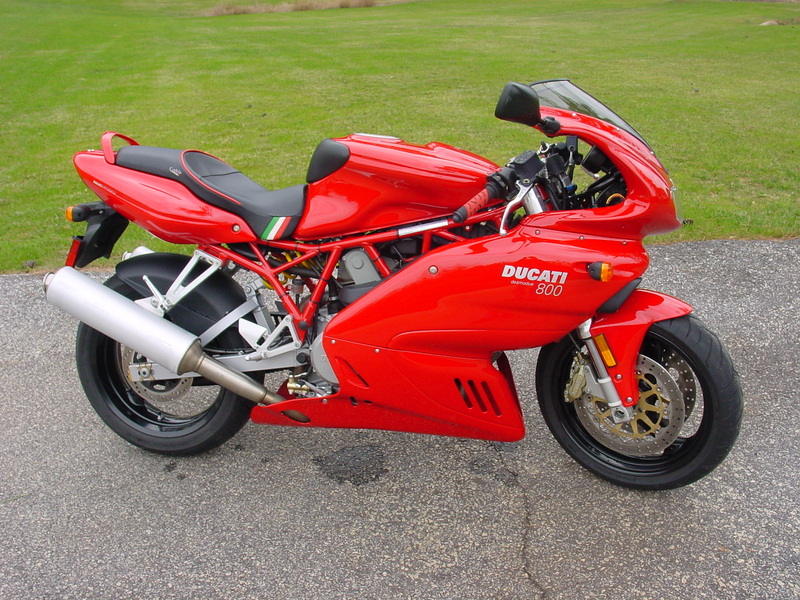 SOLD 327/350 HP "Special High Performance Option"
Restored several years ago and used sparingly since restoration. A “Rare” Classic investment and great drive to show and enjoy. The Super rare 69 Spoiler II is the car that started the whole "nose war" in NASCAR. It is believed there were only 300-500 of these cars built with the "nose" added. They came in 2 colors schemes = The Dan Gurney like this car came in Blue/White paint, blue interior. You could also get the Cale Yarborro in Red/White paint. This Dan Gurney Special comes with it original 351, auto transmission, Power steering, power brakes. Documentation includes: Original Car Invoice, Letters from Ford to dealers, Owner Warranty Card, Build Sheets, Owners Manual, Special Spoiler II Supplement Manual. 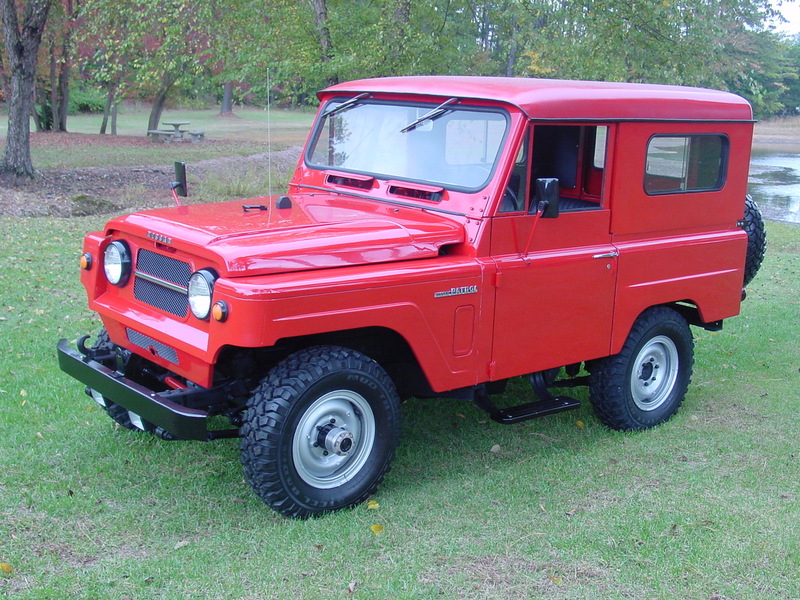 1969 Nissan Patrol "Original" unrestored survivor. This is an absolute flawless 69 Pace Car. It has the 350 CI/300 HP engine and the desired 4 speed transmission. This is a real Z11 car no clone here! 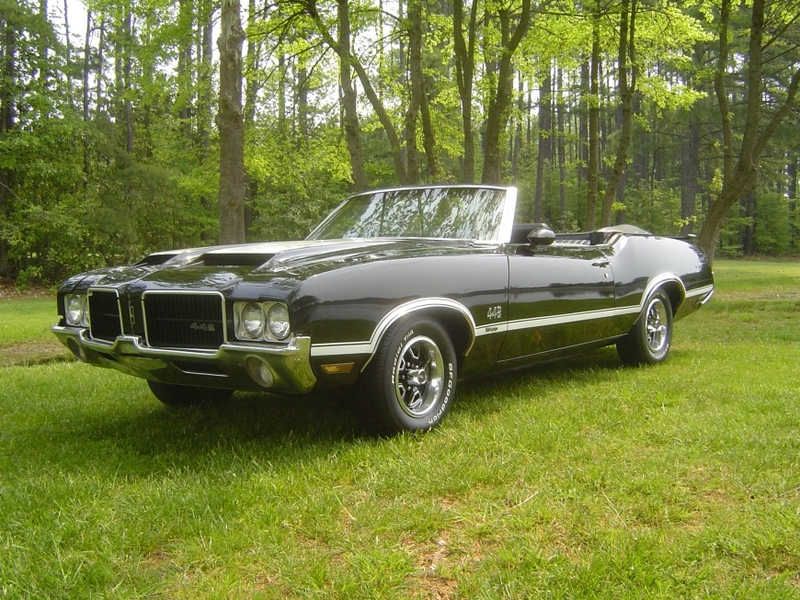 This rare beauty is 1 of only 1776, 1969 GS400 Convertibles made. This car comes complete with its original numbers matching engine and transmission. This car has power steering, power brakes, power top and A/C. Very nice car, it doesn't get much better than this one! Exceptional 1970 Series 2 E Type Jaguar Roadster Matching Numbers4 Speed Manual, factory air, Regency Red with beige interior original AM/FM/SW radio (works) Heritage Certificate included As Enzo Ferrari called it "The Most Beautiful Car Made"
This exceptional 1970 Jaguar XKE Roadster has always been in the hands of caring owners. The car has never been off the frame so it drives and handles as it should. It is a joy to drive. A repaint of "High End" was done several years ago as well as a new correct interior. The car is equipped with the factory AC. The original AM/FM/SW radio works fine. Everything has been sorted out on this car. This is one of those rare cars that has been owned by caring owners for 43 years and never abused. From a close inspection you can tell the car has been loved all its life Includes the jack, knock off hammer and tool, boot cover, owners manual, Heritage Certificate, lubrication charge and service manual. This is one of the nicest Karmann Ghias on the market. (Engine # B6083364 matching the original Warranty Voucher). runs excellent and is ready to hit the road. Beautiful Condition! This is a great opportunity that you won't find everyday. (original owners manual, warranty card, etc). Car has been treated to an extensive concours restoration using NOS parts and much research. This car has won the highest award possible in ISCA. Loaded with bucket seats, console, power steering, power brakes, cruise control, power windows, tilt and air conditioning. Full Ground up restoration, one of the finest and probably the most documented Boss 302 in the country. 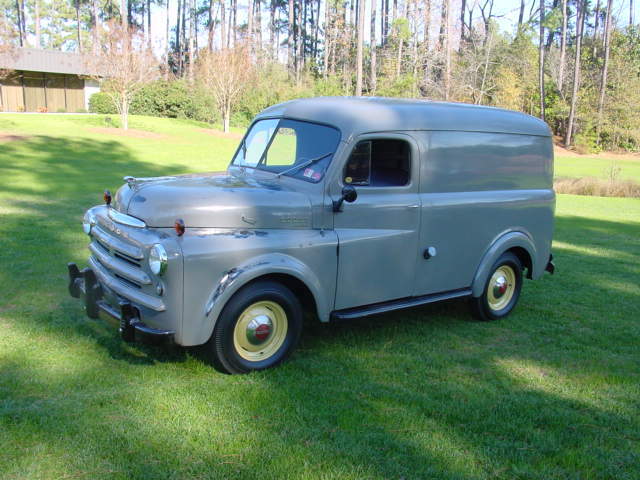 Correct 429 cid J Code, overhead valve V8 rated at 360 HP, automatic transmission, independent front suspension with coil springs, live rear axle with leaf springs, power assist hydraulic disc brakes front and drum rear; wheelbase 121"
which brought the Fiat up to date. $4.00 / gallon this micro car might just be the answer with 50+ miles per gallon. A great micro car for driving or any collection. Superb Condition! 1- Repaint years ago that still shows great! Best options, 4 speed and factory air! 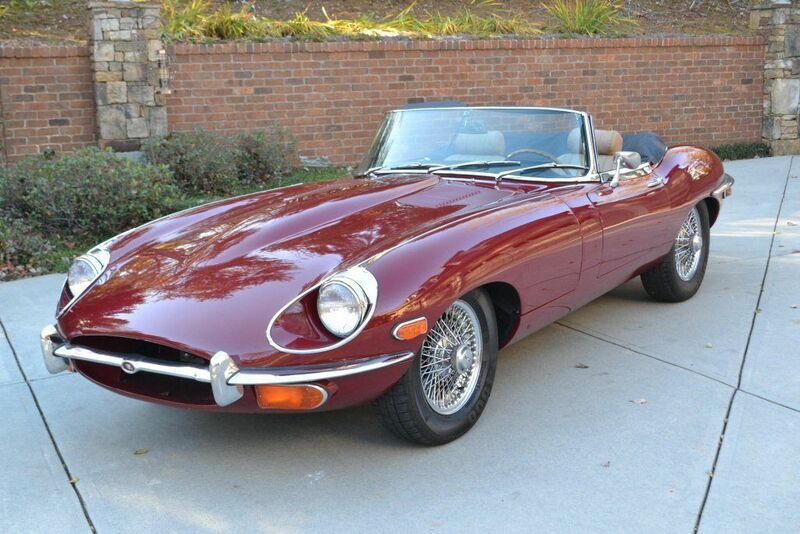 This is a rare find and a true investment grade Jaguar. The car still contains it's smog pump (disconnected) and you still have to fasten the seat belt for the car to start. This is one of those rare cars that has been meticulously cared for by it's owners. This car is well sorted and the AC works properly. A 40 year old car with 44,836 "ORIGINAL MILES"
The radio has been changed to a newer type with a CD player. The car also has a newer type Haartz cloth convertible top and boot. No disappointments in this car! A car that will continue to appreciate in value. As Enzo Ferrari called it "The Most Beautiful Car ever made". Recondition and History Detail: Survivor Car: Recent Repaint, original motor, interior, ps, pb, tilt, 8 track/am-fm radio, rear defrost. This is a great looking driver that is road ready! Exterior is a 2 tone silver and black with a red bucket seat console interior. Engine is a 350 cubic inch with a 4 speed transmission. This is a matching numbers car. 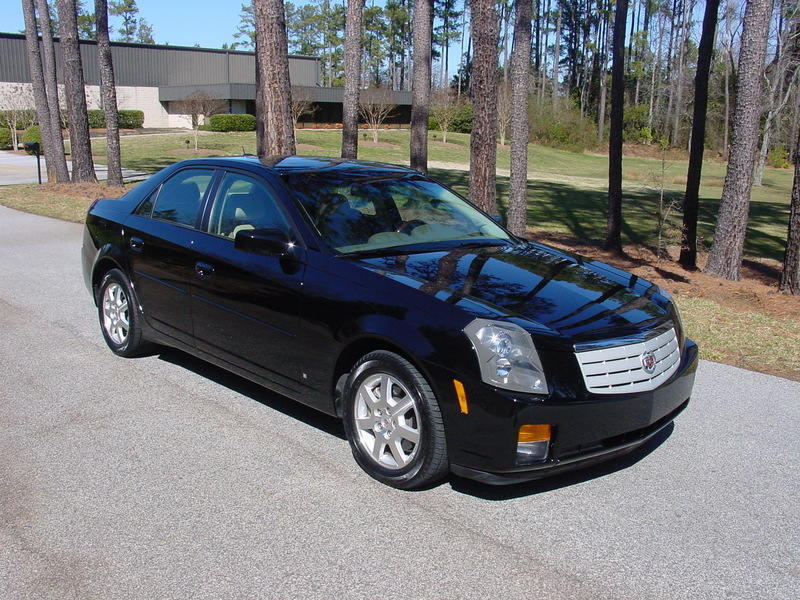 Other features are power brakes, power steering, stereo, and lots of curb appeal! models that Ford produced. This car only has 23,803 miles and is completely original. You could get this car with either the V8 engine or the 4 cylinder turbo. This car has the Turbo engine and a 5 speed manual transmission. Delete car. This car comes with an entire notebook of documentation. It has a copy of the original factory invoice as well as all of the original manuals. It also has several pieces of memorabilia related to this car. Really, when you think about it this car is 35 years old. per year and that someone cared enough to keep all of the original sales material. 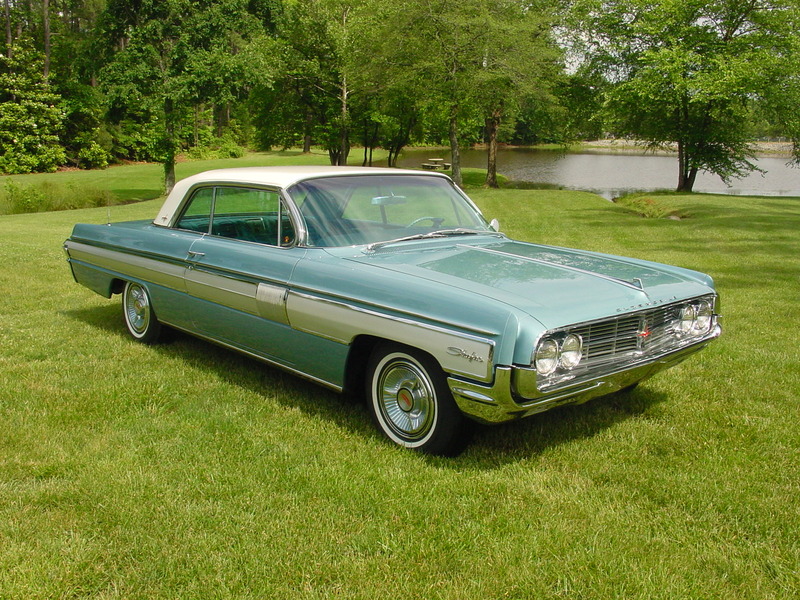 This car was considered a collectors item by its original owner! It is a beautiful car. 350 Auto 73,000 Original Miles, original engine, matching number car, fresh paint, power steering, power brakes, cruise, tilt, air, telescoping steering wheel, T-Tops. This is the Real Deal 10th Anniversary Car. As nice as they come. 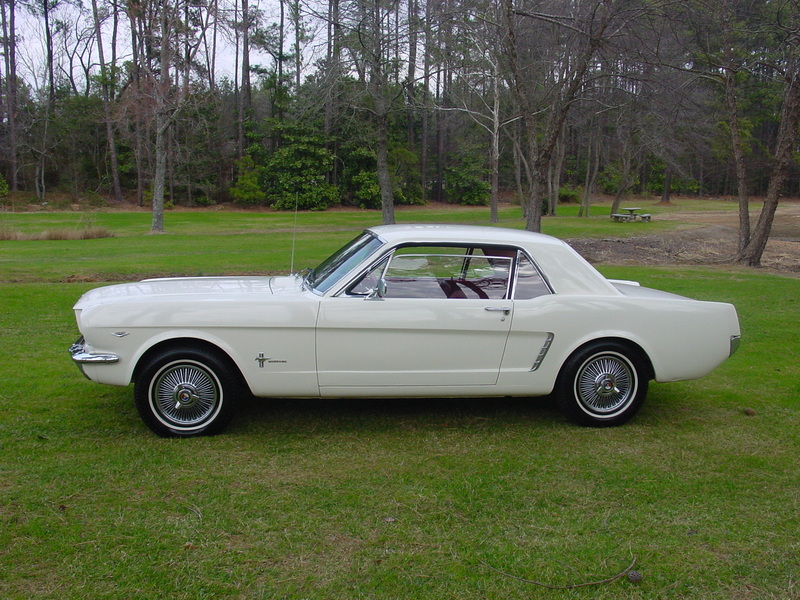 Pristine Condition, 76,000 original miles, new tires, original manuals. 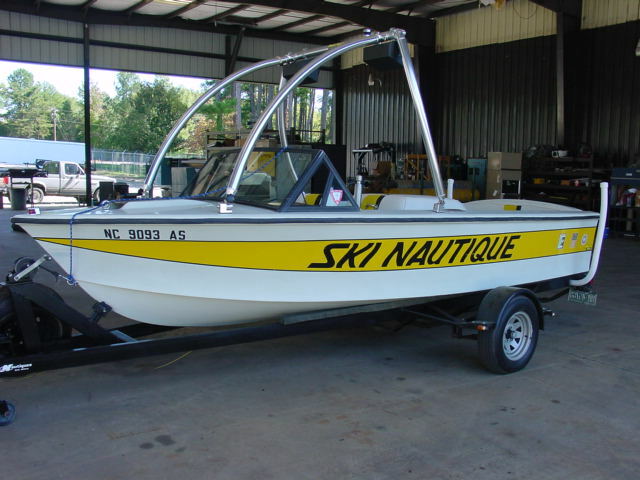 This boat comes with matching Correct Craft Trailer with spare tire mounted. 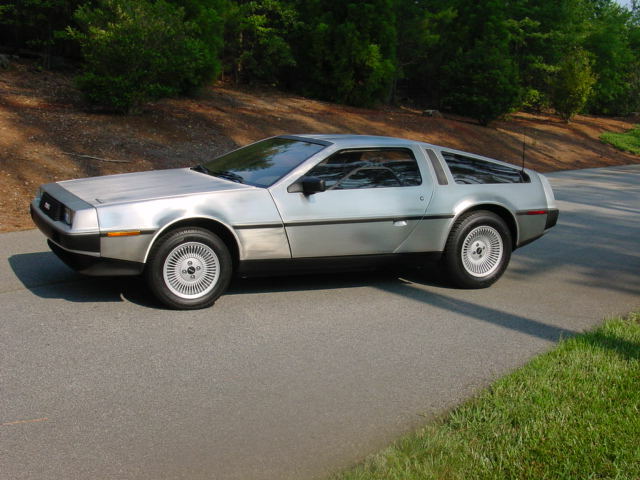 This is a great example of an unrestored, untouched Delorean. This one owner 5,800 miles car is like new inside and out. 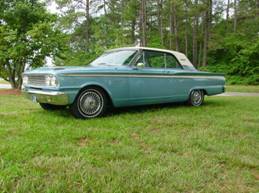 This car is fully loaded, has the 5 speed manual transmission, original tires, and original DMC car cover. The car runs, drives and looks New! The 1984 was really the Grand Nationals that started the legacy. This car may be the Best example of an unrestored low mileage 1984 Grand National in existence. This one owner 7,600 mile car is fully loaded, even has T-Tops and Siegler interior package. There were only 2,000 of these cars built. Documentation includes: Original Title, Original Window Sticker, Original RPO Built Sheet, Original Owners Card, Owners Manual and Tire Manual. Like a Brand New Truck! A well maintained and pampered Porsche. New owner will be very pleased! "Porsche - there is no substitute"
AM/FM radio with cassette player. Sage Green exterior with tan leather interior. This car was well taken care of and it shows. Everything works as it should . This is the rarest Buick ever produced. It has the 3.8 liter V6, loaded with all options! This car is #8 of 112 sold. Very well documented. All original even tires. This 87 Grand National was repainted the week it was bought new in 1987. It was purely a show car (trailer queen) up until the last couple years. This car has all its original equipment right down to the tires. Runs and drives like a new car should! This is an excellent example of a like new, 1987 GNX. This GNX #078 has an "A" Title and we have a copy of the Manufacturer’s Certificate of Origin. Delivered by Tarzy Buick Inc, East Brunswick, NJ 6/10/87. This GNX has less than 4,700 documented original miles this GNX is in like new condition. Documentation includes original RPO Built Sheet, GNX specifications, window sticker, owner’s manual, ASC McLaren letter and other memorabilia. This is quite possibly the best example of a basically brand new unrestored 1987 GNX. This GNX is untouched never modified, always kept in acclimate controlled building. Documented. This car was purchased by a collector for the sole purpose of showing it, and has been a multiple show winner. This GNX has only 223 miles on it and comes with documentation that came with the car new. Its 1987 and Buick Motor Division had decided to blow away the competition. Of the Grand Nationals Built, 547 were chosen to be sent to ASC/McLaren for a high performance upgrade. The idea was a combination of basic performance platforms along with the latest electronics and Turbo charging. The result was this ultimate muscle car, the 1987 Buick GNX. 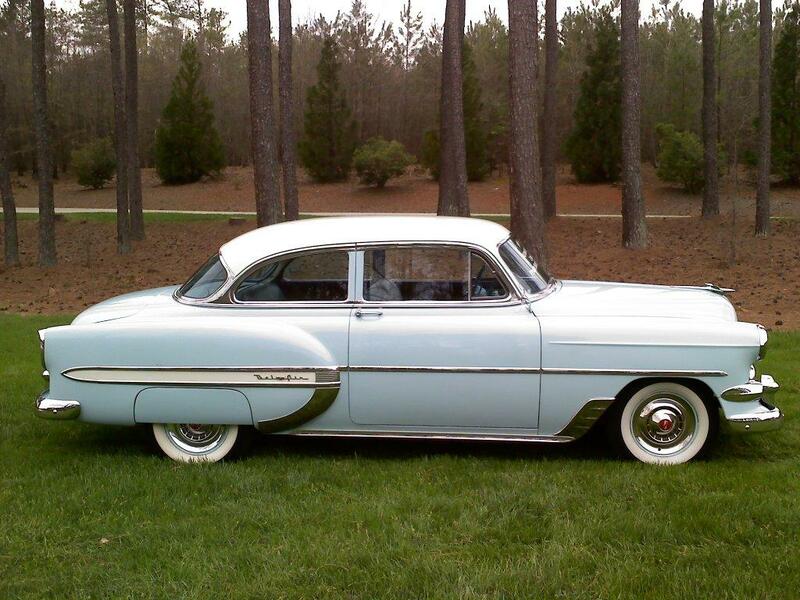 There were only 547 of these cars built and sold by Buick to be a TRUE collector car. This outstanding GNX comes from a private Buick collection. 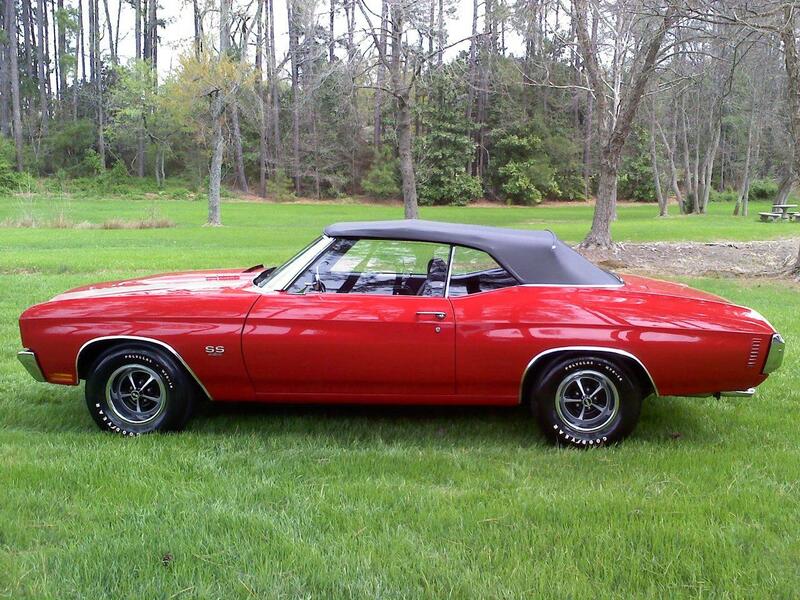 This prime example of this ultimate muscle car has only 223 actual miles on the odometer. Its #142 of the 547 built. Documentation includes: Original Owners Manual, Original GNX McLaren Window Sticker, GNX Owners manual and much more. 27' Formula, nice cabin area underneath with a place to sleep. 2 motors putting out 800 HP and will run top speed of about 70 miles an hour. NEW! (still smells new) ONLY 2,116 miles! 1994 Ford Mustang Cobra SVT "Pace Car"
"Pace Car Stickers" in trunk. 1995 Dodge Viper RT/10 less than 4,500 actual miles. Bid with confidence this is “Like New”! One owner Jeep, well maintained, Like New! A MUST SEE AND DRIVE!!! A COLLECTOR CAR FOR YOU! Number 823 of the first 1000 ever made. Known as the Apprentice Edition vehicle. This vehicle comes with a special VIN with the last 7 numbers being Y000823. The first 1000 vehicles also have a special marker on the dash adding to their collector status. This car turns heads everywhere it goes. Both car lovers and those who usually do not care one way or the other find themselves looking at this beauty. She looks like she is speeding when she is sitting still. With only 140 miles on the odometer it is just out of the wrapping. 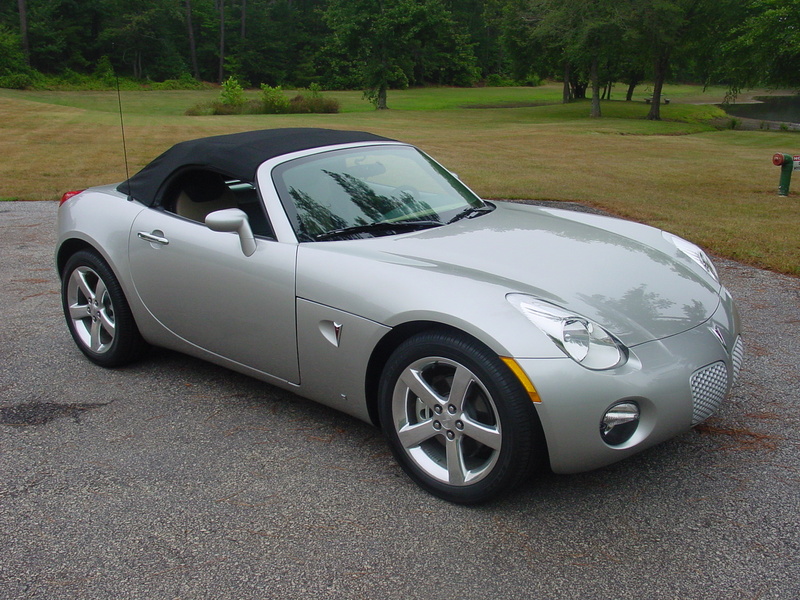 This very limited edition 'Apprentice Edition' first model year 2006 Pontiac Solstice was on e of the first 1000 and is known as the 'Apprentice Edition' vehicles because of there promotion and rollout on the show The Apprentice with Donald Trump. This is a really nice car with only 11,000 miles on it. Fully loaded with sunroof but no navigation, OnStar option. New tires, Brakes, recent inspection. If you didn't see the car you're looking for call us, we'll find it!!! © 2008 Vintage Cars & Such, LLC All Rights Reserved.